Your Local Artesian Spas Authorized Dealer! Feel confident in your spa purchase knowing LMR Pool And Spa is your installation & warranty service provider! WE HAVE OVER A DOZEN SPAS IN STOCK THAT CAN BE SEEN AND SOLD TODAY! Purchase a new hot tub from LMR and SAVE 10% off spa chemicals for the LIFETIME of your spa! With 5-STAR customer service satisfaction and a large selection of spas Made In USA, we have a hot tub to fit just about anyone's budget. Visit our showroom in Chapin, SC to view over a dozen spas that can be purchased and installed in your back yard the very next day! REQUEST A QUOTE ON A NEW SPA BELOW! 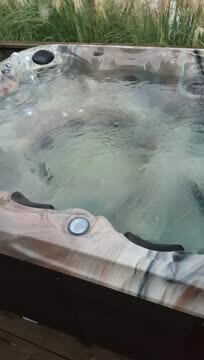 SEE ONE OF OUR SPAS IN ACTION!